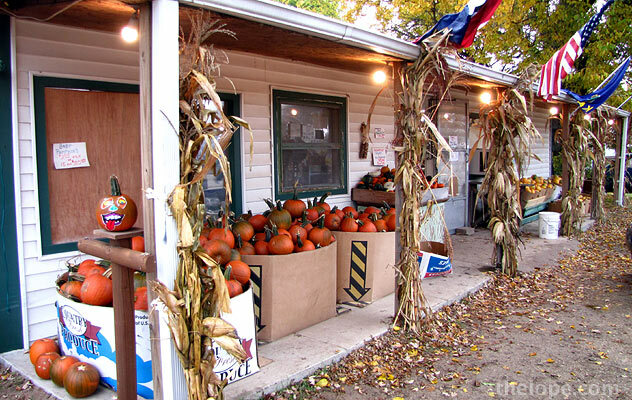 A couple years ago I published a post about Polk's Market in Medora, Kansas, in which owner Earl Polk showed us how to tell the difference between a pumpkin and a squash. 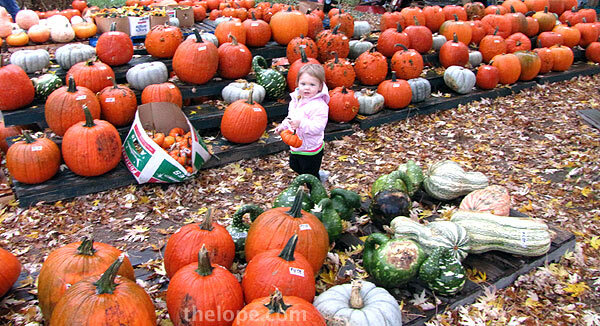 I stop in from time to time to partake of a cider slushie with friends or check out the pumpkin selection. Here are some of the non-traditional sellers of 2009. The Jarrahdale pumpkin (actually a squash) was popular this year. 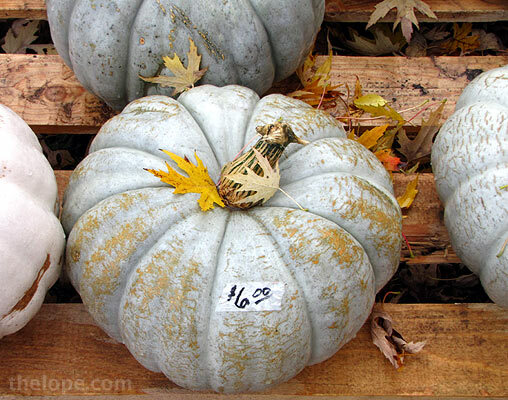 Often sold as a blue pumpkin, I think it's more grey than blue. I actually grew one of these, though mine was not as big. 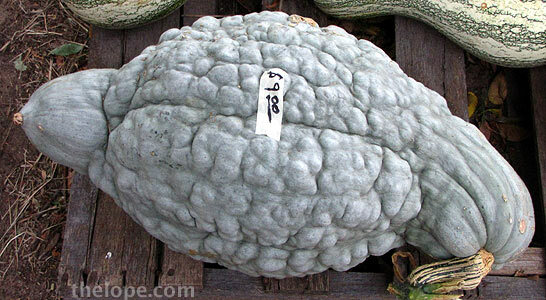 Earl suspects that the breeders crossed a Blue Hubbard squash (above) with a mainstream pumpkin to make the Jarrahdale. The light orange and white laced "One Too Many" is also popular. It is also actually a squash. 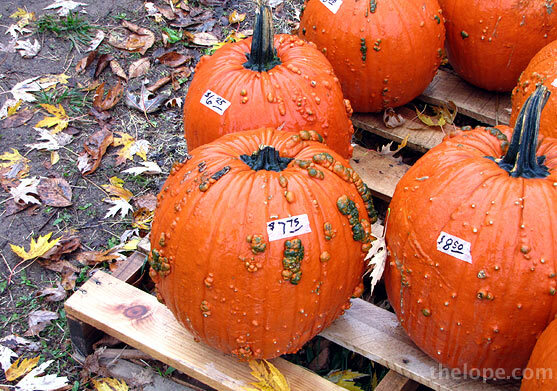 The warty "Knuckle Head" pumpkin is actually a pumpkin. 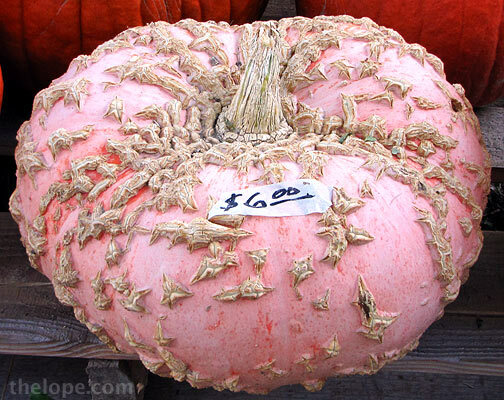 This one that looks like it has barnacles on it is a "Bumpkin Pumpkin" or "Peanut Pumpkin." And I believe it is a squash. This little girl's choice was a popular one. 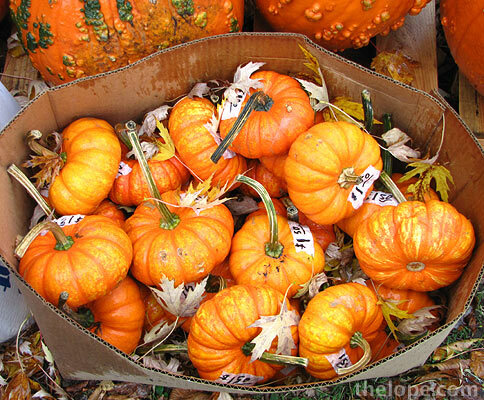 Earl says these small and somewhat flat pumpkins don't even have a proper name, having been assigned a long number by a seed company. 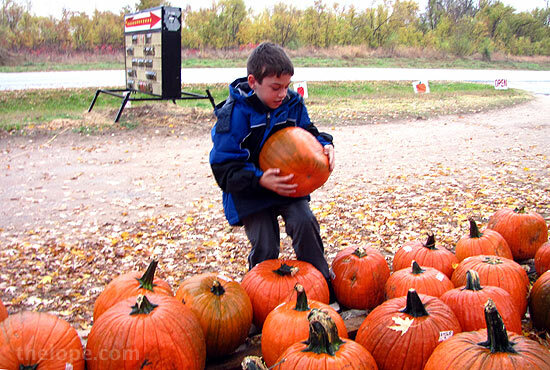 He added that he and other sellers have expressed a desire that the seed company actually name the pumpkin. 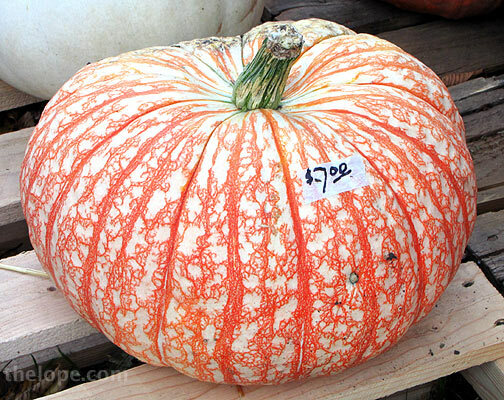 The green "Speckled Swan" gourd has sold quite well so far. 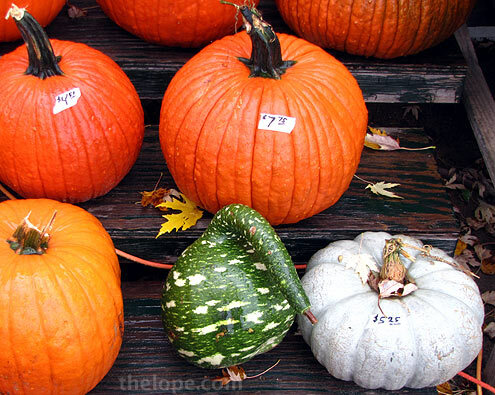 Of course, regular traditional pumpkins are good too. 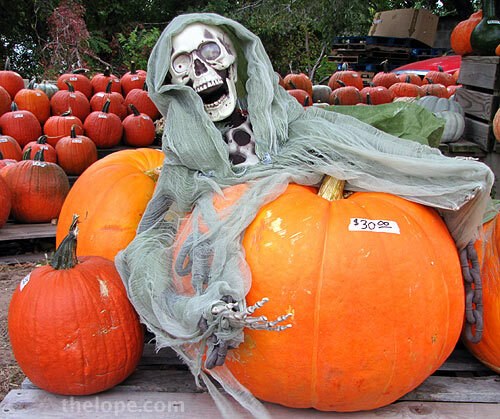 Corpse and Cucurbita - pumpkins are of the genus Cucurbita. Hey, I needed a 'C' word, you know.